Buying a trail camera is no easy feat, considering the features you have to keep in mind, like motion detectors, resolution, focusing abilities, sharpness, pixels as well as an inconspicuous nature to be carried in the woods. Therefore, we have prepared a list for you, so that you can zero in on your favourite type of camera, one that suits your needs perfectly! Cellular cameras record images and transmit them to your phone and tabs through internet. A sim needs to be inserted in the camera’s slot and then it uses it just like a phone. Most of these cameras work on GSM networks and you need to buy a data package for the sim. These cameras are coming with the feature of motion sensor nowadays, which activates with movement in front of the lens’ span. Cellular camera is a hassle free gadget, which is very easy to install and does not have tonnes of wires running around it. They usually come in compact sizes and are ideal for indoor as well as outdoor use. They are portable and therefore apt for conditions where they are required to be moved from one place to another frequently. These are very inconspicuous in the woods, perfect to build a camouflage for the sheer simplicity of having no web of wires hanging out. The major disadvantage of this breed of camera is that it runs on battery. If you are buying one, then ensure that it has a battery indicator. Also, assess the amount of battery it exhausts in terms of hours. The sim needs service provider’s network; if it is not available then the transmitting function will not work. So, say you are in wilderness and want to transmit some pictures, it will not happen for want of a network. Another downside of a cellular camera is that it can be hacked through the internet that connects it to your phone. Reasonable safeguards should however, avert and protect your camera and its data from any such incident. A motion-activated camera is an ideal indoor and outdoor camera. It is suited for a user who wants minimum remote or manual interference in photo capturing. It comes in a category where you install it and then forget about it. This type of camera is very popular for wildlife and sports photography. Both the scenarios have limited window period for the capture and need articulate timing; the motion-activated camera delivers on both the counts. These cameras can also be installed in a set up, which is dangerous for the human presence. Motion activated cameras detect motion in its range also known as detection area, if there is a movement beyond this detection area the camera will not capture images. Therefore, as long as you buy a better field camera, you are good to go! Sensitivity and range are two features of this camera that you need to check at the time of buying. If the range is too short and it is not sensitive enough, then it will not serve the very purpose for which you have bought it. Wireless camera has an in-built transmitter, which transports images using a wireless network. You need to choose the wireless network of the receiving device in the camera to connect both of them. Wi-Fi cameras are relatively innovative but extremely user friendly and relevant to today’s times. They have fewer attachments and no wires, which is an appealing feature for an indoor or semi-indoor use. It has a simple installation and today’s tech savvy individuals can find it very easy to operate. Sharing of pictures is facilitated by the Wi-Fi feature without the USB cords and millions of other attachments. It is almost wireless and is great for camouflage, but its suitability to outdoor environment is highly debatable. The main disadvantage of this camera comes in form of outdoor use. A naturally exposed environment can hamper the wireless signals and so its use in an outdoor set up is not recommended. For transmission of images, a seamless strong signal is required which completely depends on your internet network and wireless device. If you are outside the Wi-Fi range, which in itself is limited, the transmission feature will just not work. The use of internet to transmit makes this camera vulnerable to cyber attacks. You cannot use the transmitting feature of this camera on a go unless there is Wi-Fi enabled environment. This limitation also makes it unsuitable for lonesome areas that do not have phone networks and internet. Have you ever felt the need to track what is going on, in and around your house in your absence? You may have contemplated keeping an eye on your business establishment, office space, storage or the warehouse. This is especially applicable to those who have to put up a temporary shelter in the woods, while on their wildlife business. For these requirements, a fully enabled security camera, better known as surveillance camera is the best solution. Absolutely reliable, tamper proof and not prone to bias! If any untoward incident does take place, the camera records it in real time and you can use the footage as evidence later on. It also plays the role of a deterrent because miscreants would usually be cautious if they are aware of the presence of security camera around them. It also gives a very comforting sense of security, especially if you have experienced vandalism or robbery in your area of residence or business. 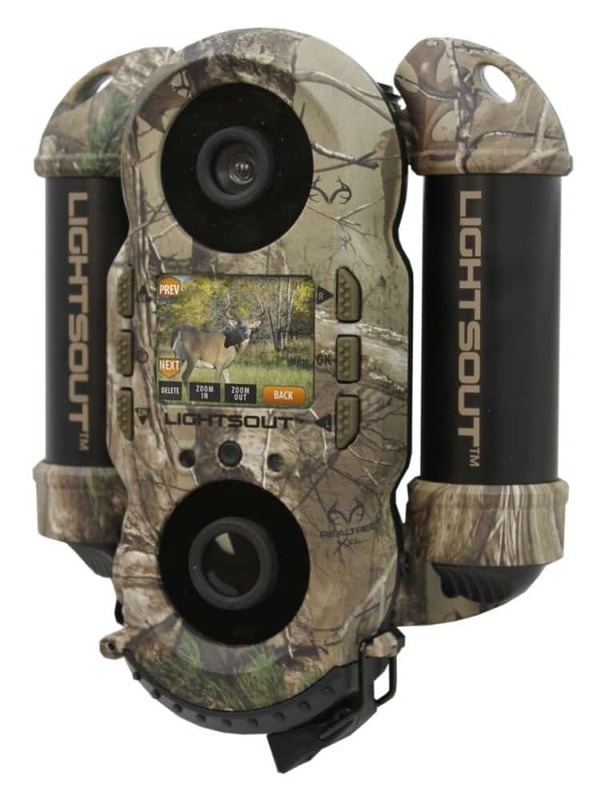 This is however, the traditional use, these cameras are increasingly being used as trail cameras for use outdoors. These can also be used in case you have to temporarily put up in the woods, these cameras can help you monitor the wildlife in an around you and keep you one-step ahead of dangers of the wilderness around you. These cameras aren’t very potent in the wilderness; their efficacy has not been established or demonstrated properly for use in wild life setups very well. However, there are a few points to keep in mind before a security camera is installed. Law forbids installation of recording devices in private areas like baths and toilets. So make sure that you are not standing in way of law while installing these cameras. If you have one inside your home, it is going to record all the private moments and conversations that you would not like to be shared. This is why data deletion has to be done regularly and carefully since the information, sharing is fast these days. In addition, everything invariably turns up on internet. In fact, make this a daily routine to delete the unwanted footage thereby avoiding other risks related to data leakage. Infrared cameras are suitable in cases where tracking and recording is required in the night also. For ensuring a round the clock supply of video footage in the wild, no camera is better than the infrared. These cameras have high resolution and capture night images with a lot of clarity. They also come fitted with sensors that automatically switch the infrared function on and off. These cameras have found an extensive usage in capturing wildlife due to their friendliness towards night or dim lit shots. Scientific researchers have always used infrared cameras in their experiments due to their sensitivity and high resolution captures. They are easy to install and usually come in a single unit with the lens and recording storage. Infrared cameras are very sturdy and can withstand tampering much more effectively. Their design is such that they do not give way easily when deliberately damaged. With all the advantages they have on their counterparts, the main disadvantage comes in form of their price tag. They are far more costly and therefore their use in smaller establishments and domestic surveillance has not gained much momentum. Owing to the LED lights mounted on them, their use around reflective surface has its limitation; the picture captured is just a blob of light, which reflects right back at the camera. The flash camera is made for the night shots. For dark or night shots, the camera switches to flash mode for the capture. This one feature makes it usable throughout the day and night, while you are on the move. The set up is simple and very easy to install. The picture quality is extremely good, and the best of zoom capacities are available in flash cameras. Flash cameras are also known to make a shutter kind of noise as the flash comes to life. Both of these features make it unsuitable for wild life photography as the flash agitates the animals. For covert tracking too, this camera proves to be useless since there is nothing clandestine about it. The flash can be particularly unflattering for your neighbours if you are using if for outdoor monitoring.